When creating a new post on Facebook, there are a ton of extras you can add to your updates: feelings or activities, change the update’s background color, tag friends, and more. 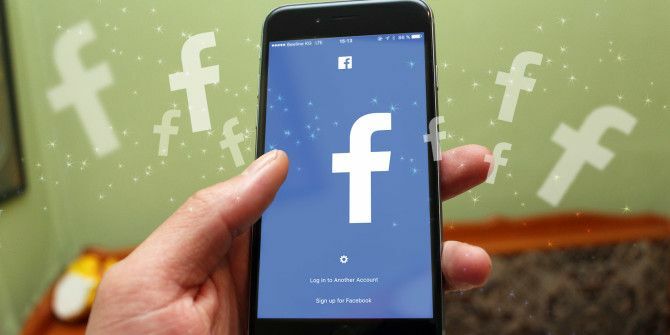 But there’s one relatively hidden feature 21 More Facebook Tricks & Features You Should Be Using 21 More Facebook Tricks & Features You Should Be Using It's tough to keep up with every feature and setting that Facebook introduces. Here are another 21 features, tips and tricks that could change the way you use Facebook. Read More that many don’t know about: asking for recommendations from friends. You may have seen friends on Facebook sharing posts in which they ask for recommendations, and the posts are clearly labeled as requests. Facebook doesn’t make it very clear how to create these types of posts, but it couldn’t be easier. When you go to create a new post, all you have to do is phrase it as a clear request for suggestions — or better yet, include the word “recommendation(s)” in your post and Facebook will automatically label it as a request. If you include a city name in your request, after you post your request, Facebook will give you the option of adding a map. However, it isn’t foolproof. When we tried, certain questions weren’t picked up by Facebook as a request for recommendations. For example, asking for suggestions on good books to read didn’t work. If you want to be sure your post will be labeled as a request for recommendations before hitting the post button, under Feelings/Activity you can select Looking for > Recommendations. You can get even more specific with the type of recommendation if you want. You can also easily create a recommendation post by clicking the Ask for Recommendations button on this page. What do you think of Facebook’s recommendations feature? Let us know in the comments. I don't like that once you recommend a location, that location becomes the post and FB completely replaces any photos you posted relating to the location with an ad for that location! You can't edit it to reflect your photos after this has been done. I won't be doing that again! FB you need to fix that or have a disclaimer that by recommending a location that you will be replacing your post with an ad that can't be edited! I just tried to leave a request for recommendations for Ecuador, and I never got the request to ask for a map to show in the post. I guess I don't think much of the feature, since it didn't work for me!